High tech has been making its way into all different areas of health and fitness lately -- from apps that help track the biking routes you take, to monitors you wear to see how active you are. But one company, that started its business by creating a fitness monitor, has just released a Wi-Fi enabled scale to keep track of weight fluctuation. Fitbit's new Aria Wi-Fi Smart Scale, which measures weight, body-fat percentage and body-mass index, is now available for purchase as of Monday morning. Originally previewed at CES this year, the scale connects to a person's Fitbit account and can be accessed on the computer, iPhone, or Android app. This new device supplements the already popular Fitbit activity monitor very well by helping track progress to achieve weight and fitness goals. 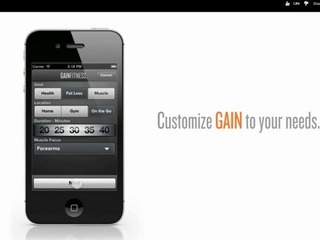 The scale automatically uploads via Wi-Fi and can recognize up to eight users. The set-up time is promised to only take a few minutes and, as a default, all the weight users are set to private unless you choose otherwise. The Fitbit service then can track trends with free graphs and charts as well as provide motivation and badges to reach different goals. The San Francisco startup, founded in 2007, is in a growingly busy space now that Nike, BodyBug and Jawbone are all trying to get people with a fitness focus to wear their devices 24-7 - but it is also a tricky industry with high expectations. Just before Christmas, Jawbone raked in $40 million from several investors including Kleiner Perkins Caufield & Byers, Deutsche Telekom and Yuri Milner -- which brought the total funding for the company to $210 million. And, in January, Nike announced its own activity tracking wristband called the Fuelband -- the same month that Fitibt announced that it has pocketed $12 million more for its growing services and products. The company's signature device is the Fitbit Ultra, which tracks your steps, running activity, and how much you walk up stairs -- it can also track your sleep. The device looks like a plastic clip and can be worn on a wristband, in the center of a bra or on a belt to track activity. 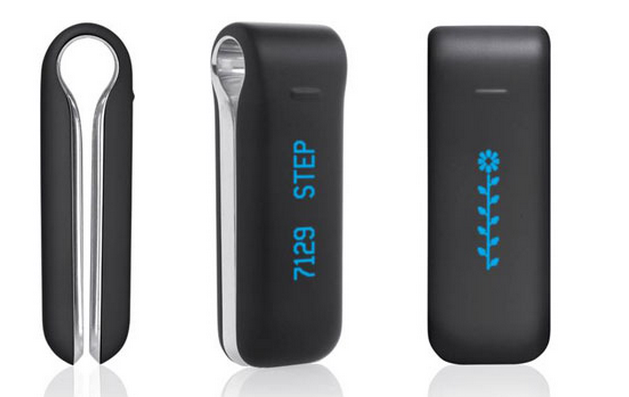 FitBit products are sold at more than 5,000 locations including 24 Hour Fitness, RadioShack, Target and Brookstone. FitBit's biggest competitor up to this point has been Jawbone'e UP device which has been valued, by the International Business Times, at near $1.5 billion. Jawbone ran into some public relations and service issues in the last few weeks when users of its $99 UP wristband were reporting syncing, monitoring and use issues and the CEO, Hosain Rahman, issued an apology two weeks ago and a promise of full-refunds AND replacements to all those interested. "We recognize that this product has not yet lived up to everyone’s expectations – including our own," Rahman wrote to consumers. "Jawbone remains deeply committed to addressing all issues with UP, investing in the category and giving our customers the tools to live a healthier life. We’ve temporarily paused production of UP bands and will begin taking new orders once these issues have been sorted out. In the meantime, we’ll continue to release app updates for existing users." 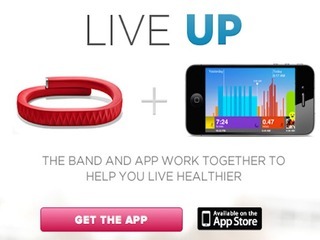 The refund program was launched on Dec. 9 and applies to any UP bracelet purchased from a Jawbone retailer in 2011. 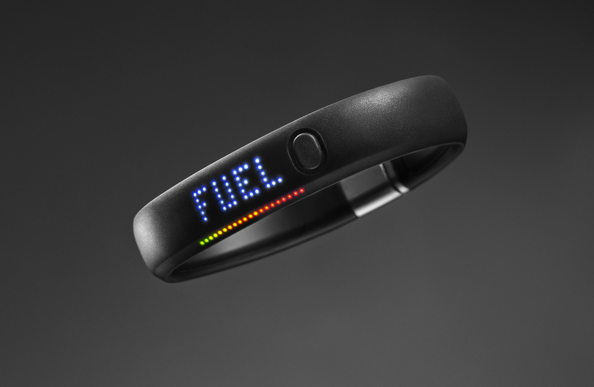 The new Nike FuelBand is a wrist-band, similar to the Jawbone UP that was pulled from the market for faulty readings, and syncs your activity data to a PC or iPhone. This new device brings a major sporting company even further into the health technology sphere -- with an even deeper partnership with Apple. 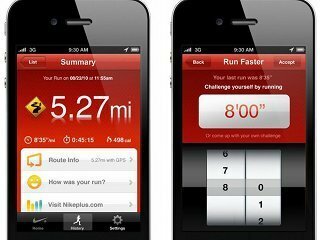 Last year, Nike created a geo-location based app for the iPhone that lets runners track their routes while listening to their workout tunes and now they are brining food and other activity tracking to the iPhone so that active people are able to track their progress. "The NIKE+ FuelBand is a way for Nike to further evolve the exciting possibilities of merging the physical and digital worlds," said NIKE, Inc. President & CEO Mark Parker, in a statement. "Nike has always been about inspiring athletes, and the NIKE+ FuelBand will help motivate them in a simple, fun and intuitive way." 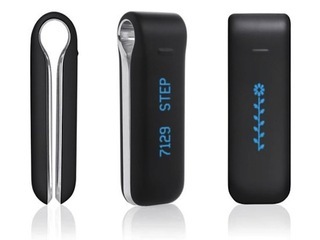 The band has been designed to be worn throughout the day and can measure various movement while depicting the person's progress with an assortment of LED lights on the band. Users are able to set daily goals of how active they want to be that will signal to the band whether you are in the red or the green as far as progress. "The digital health and fitness device category requires a deep understanding of consumer needs, an unquestionable ability to deliver a successful product and technical expertise built from years of experience in the industry," said Brad Feld, Managing Director at Foundry Group, in a statement. "Fitbit has demonstrated these traits while building and launching several successful digital health products and services and is clearly the leading company to grow this category to its full potential." All of these mobile tools hover between $99-$149 in that sweet, yet affordable spot of electronic luxuries. With everyone trying to uphold their New Year's resolutions -- or resuscitate them -- Nike took some time out on Thursday to announce a new tool to track the exercise and calories they are burning throughout the day. World-class athlete Lance Armstrong was at the New York announcement this morning and added that this tool would be a great way to inspire people to meet daily and weekly goals. 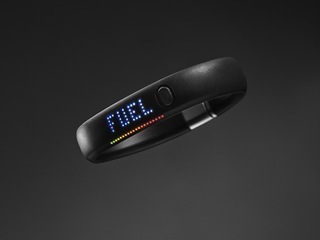 The Nike+ Fuelband is now available for preorder starting in the US at Nikestore.com for a suggested retail price of $149. Fitbit may be onto a good trend here, however, since everyone is creating a monitor to wear, maybe the edge companies need are supplementary products to create a full wellness system.